We are a privately owned business disrupting the financial services technology industry by providing new capabilities for navigating a wealth journey. 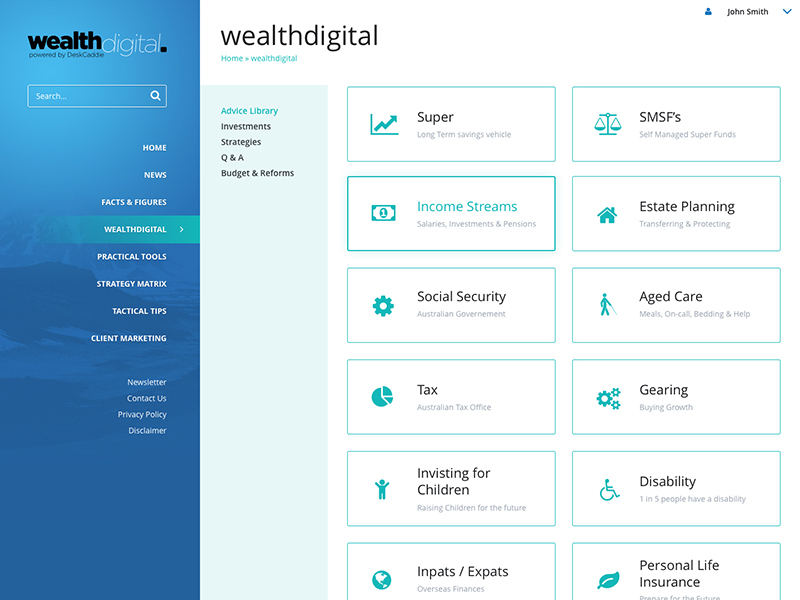 wealthdigital® (powered by Desk Caddie) provides practical support to help develop financial planning strategies for clients. It also keeps you up-to-date with the latest news as well as tips for client reviews. Are you maximising business opportunities in client reviews?